View Cart “Celebrity Body On A Budget” has been added to your cart. SKU: ZM51386. Categories: Health & Fitness, Fitness. Tags: Anatomy, fascia, fitness, massage, myofascial, sports massage. Anatomy & Massage is a practical guide for anyone interested in learning more about this massage discipline. This book presents the new standard, which can be used not only by athletes, trainers, or their massage therapists, but also as an important reference work for physiotherapists, fitness trainers, and people interested in sports in general. The book was written by active therapists who have a lot of experience with professional sports teams and who teach sports massage. It contains numerous illustrations, color photographs, step-by-step instructions, anatomical graphics, and includes an approach to massaging deep-level tissues and their interpretation from the myofascial chain point of view. The book also contains a health questionnaire to facilitate data collection, athlete testing, and follow-up monitoring. It is supplemented with 21 tutorial videos showing the most important massage techniques used by the specialists. These videos can be downloaded in three easy steps using the Augmented Reality app. 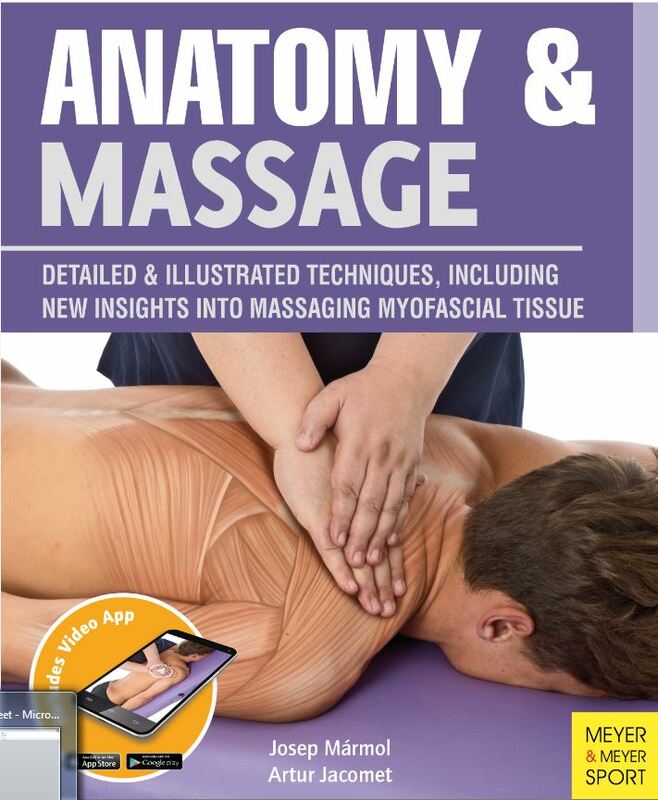 Anatomy & Massage is the first book of its kind that also focuses on the myofascial structures of the body and offers step-by-step instructions on how these insights can make a massage even more effective. Josep Mármol is an osteopath with over 25 years of experience in the treatment of athletes, including professional Spanish basketball players and gymnasts. Today he combines his career as a tutor in sports and myofascial massage techniques and muscle strapping. He has a private practice in Barcelona, where he treats elite athletes and dancers. He is also an active and committed member of a multidisciplinary health team whose involvement with swimmers at the 1992 Barcelona Olympic Games created new perspectives on how to apply fascial massage therapy, a discipline in which he continues to participate and learn.